includes (VAV) all-weather floor mats, LPO and (VBR) rubber bed mat, LPO, (dealer installed) (Requires (B30) color-keyed carpeting. Not available with (ZW9) pickup box delete, (CGN) spray-on bed liner or (VZX) bed liner, LPO) GMC Interior Protection Package Includes the following options:All-weather floor mats Rubber bed mat Requires available color-keyed carpeting. includes (VAV) all-weather floor mats, LPO and (VBR) rubber bed mat, LPO, (dealer installed) (Not available with (ZW9) pickup box delete, (CGN) spray-on bed liner, (PDL) Cargo Convenience Package, LPO or (VZX) bed liner, LPO.) GMC Interior Protection Package Includes the following options:All-weather floor mats Rubber bed mat Requires available color-keyed carpeting. includes power feed for backup and roof emergency light, (KW5) 220-amp alternator with gas or diesel engine, forward lamp wiring harness, (TRW) provision for cab roof mounted lamp/beacon, (NZZ) underbody shields and Heavy-Duty front-springs (Only available on 4WD models. Not available with (CF5) power sunroof. When (VYU) is ordered (UG1) Universal Home Remote and (A48) power sliding rear window is deleted. Upgradeable to (KHB) dual, 150 amps and 220 amps each alternators with (L5P) Duramax 6.6L Turbo Diesel V8 engine.) Snow Plow Prep Package This available option includes the following features: Power feed to accommodate a backup and roof emergency light A dependable 170-amp alternator for cold-weather starts Forward lamp wiring harness and a provision for a cab roof-mounted lamp or beacon for added visibility Heavy Duty front springs Requires 4WD model. includes (VAV) all-weather floor mats, LPO, (VKW) front console organizer, LPO and (VBJ) rear under seat storage, LPO, (dealer installed) (Requires (AN3) front full-feature leather-appointed bucket seats.) Cargo Convenience Package Includes the following accessories: All weather floor mats Front console organizer Rear under seat storage SLE models require colored-keyed carpeting and front cloth bucket seats. SLT models require front full feature leather appointed bucket seats. includes power feed for backup and roof emergency light, (KW5) 220-amp alternator with gas or diesel engine, forward lamp wiring harness, (TRW) provision for cab roof mounted lamp/beacon, (NZZ) underbody shields and Heavy-Duty front-springs (Only available on 4WD models. Not available with (UG1) Universal Home Remote. Upgradeable to (KHB) dual, 150 amps and 220 amps each alternators with (L5P) Duramax 6.6L Turbo Diesel V8 engine.) Snow Plow Prep Package This available option includes the following features: Power feed to accommodate a backup and roof emergency light A single 220-amp alternator Forward lamp wiring harness and a provision for a cab roof-mounted lamp or beacon for added visibility Underbody transfer case shield to help protect the transfer case from debris Heavy Duty front springs Requires 4WD models. includes (VAV) all-weather floor mats, LPO, (VKW) front console organizer, LPO and (VBJ) rear under seat storage, LPO, (dealer installed) (Requires Crew Cab or Double Cab model, (B30) color-keyed carpeting and (A95) front cloth bucket seats. ) Cargo Convenience Package Includes the following accessories: All weather floor mats Front console organizer Rear under seat storage SLE models require colored-keyed carpeting and front cloth bucket seats. SLT models require front full feature leather appointed bucket seats. includes power feed for backup and roof emergency light, (KW5) 220-amp alternator with gas or diesel engine, forward lamp wiring harness, (TRW) provision for cab roof mounted lamp/beacon, (NZZ) underbody shields and Heavy-Duty front-springs (Only available on 4WD models. Not available with (CF5) power sunroof. When (VYU) is ordered, (UG1) Universal Home Remote is deleted. Upgradeable to (KHB) dual, 150 amps and 220 amps each alternators with (L5P) Duramax 6.6L Turbo Diesel V8 engine.) Snow Plow Prep Package This available option includes the following features: Power feed to accommodate a backup and roof emergency light A single 220-amp alternator Forward lamp wiring harness and a provision for a cab roof-mounted lamp or beacon for added visibility Underbody transfer case shield to help protect the transfer case from debris Heavy Duty front springs Requires 4WD models. includes power feed for backup and roof emergency light, (KW5) 220-amp alternator with gas or diesel engine, forward lamp wiring harness, (TRW) provision for cab roof mounted lamp/beacon, (NZZ) underbody shields and Heavy-Duty front-springs (Only available on 4WD models. Upgradeable to (KHB) dual, 150 amps and 220 amps each alternators with (L5P) Duramax 6.6L Turbo Diesel V8 engine.) Snow Plow Prep Package This available option includes the following features: Power feed to accommodate a backup and roof emergency light A single 220-amp alternator Forward lamp wiring harness and a provision for a cab roof-mounted lamp or beacon for added visibility Underbody transfer case shield to help protect the transfer case from debris Heavy Duty front springs Requires 4WD models. includes (AG1) driver 10-way power seat adjuster when ordered with (AZ3) front 40/20/40 split-bench seat, (T3U) front fog lamps, (C49) rear-window defogger and (KI4) 110-volt power outlet Crew Cab and Double Cab also includes (CJ2) dual-zone climate control. includes (AG1) driver 10-way power seat adjuster when ordered with (AZ3) front 40/20/40 split-bench seat only, (BTV) Remote Vehicle Starter system, (T3U) front fog lamps, (C49) rear window defogger, (CJ2) dual-zone automatic climate control, (UG1) Universal Home Remote, (N37) manual tilt and telescoping steering wheel, (KI4) 110-volt power outlet, (DPN) outside heated power-adjustable trailering mirrors, (CGN) spray-on bedliner and (RIA) all-weather floor liner, LPO (Requires Crew Cab or Double Cab models. When (TRW) provision for cab roof-mounted lamp or (VYU) Snow Plow Prep Package are ordered, (UG1) Universal Home Remote will not be included. Not available with (PCY) SLE Fleet Preferred Package, (PDL) Cargo Convenience Package, LPO, (BG9) graphite-colored rubberized-vinyl floor covering, (ZW9) pickup box delete or (L5P) Duramax 6.6L Turbo-Diesel V8 engine. No changes or substitutions to the included HD SLE Preferred Plus Package equipment will be allowed unless noted above.) *GROSS* HD SLE Preferred Plus Package Includes: Driver 10-way power seat adjuster when ordered with front 40/20/40 split-bench seat Remote Vehicle Starter system Front fog lamps Rear window defogger Dual-zone automatic climate control Universal Home Remote Manual tilt and telescoping steering wheel 110-volt power outlet Outside heated power-adjustable trailering mirrors Spray-on bedliner All-weather floor liner When provision for cab roof-mounted lamp or Snow Plow Prep Package are ordered, Universal Home Remote will not be included. 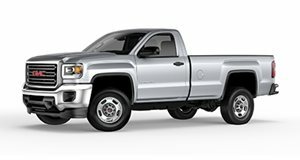 for Crew Cab models only, includes (CGN) spray-on bed liner, (QGM) LT265/70R18E all-terrain, blackwall tires, (UD5) Front and Rear Park Assist, (Z71) Off-Road Suspension Package, (NZZ) underbody shield, all-terrain grille insert with chrome grille surround, (UVD) heated steering wheel, (VB5) front body-color bumper, (VT5) rear body-color bumper with Cornerstep, sill plates and (RIA) floor liners, LPO. (Requires 4WD models. Requires one of the following exterior colors (GAZ) Summit White, (GBA) Onyx Black, (G1K) Stone Blue Metallic, (GPA) Dark Slate Metallic, (GMU) Pepperdust Metallic or (G7T) Deep Garnet Metallic. Includes (AN3) front leather-appointed bucket seats and (UQA) Bose premium audio system. (PYR) 18" chromed aluminum wheels are upgradeable to (RTH) 20" polished aluminum wheels with Dark Argent Metallic pockets. All-terrain tires are required with (GAT). (DL3) outside power-adjustable mirrors upgradeable to (DQS) outside memory equipped heated power-adjustable vertical trailering mirrors. Not available with SEO options, (ZW9) pickup box delete, (TRW) Provision for cab roof-mounted lamp/beacon, (9J4) rear bumper delete or (Y65) Driver Alert Package.) All Terrain Package Includes:Spray-on bed liner Z71® Off-Road Suspension Package Under body shields White with Red letters Rancho® Tenneco brand shocks Front and rear body-color bumpers with cornersteps All Terrain emblem Front and Rear park assist Heated steering wheel Inside rearview auto-dimming mirror All-weather floor liners Outside heated power-adjustable manual-folding mirrors Fog lamps Chrome side moldings with chrome accent All Terrain grille insert with chrome grille surround Unique sill plates Front bucket seats with unique interior trim Bose® premium speakers Requires Crew Cab 4WD models and exterior color Stone Blue Metallic, Summit White, Onyx Black, Dark Slate Metallic, Deep Garnet Metallic or Pepperdust Metallic. includes (RT4) 18" Black Painted Aluminum Wheels, (QF2) Tires, LT 275/65R18 MT blackwall Goodyear Wrangler DuraTrac, Black Sport Side Steps, Black Bed Mounted Sport Bar, (DQS) Power Adjustable Heated Power Fold Trailering Mirror with integrated Turn Signal, Cargo Lamp, and Amber Clearance Lamp, (DPK) Black Mirror Caps, Black Beltline Molding, (D75) Body Colored Door Handles and (B86) Body Colored Side Moldings. Body Colored Grille Surround, Black "B" Pillar Vinyl Wrap, and Black Front-Bumper Skid Plate (Requires TK25743 model and (GAT) All Terrain HD Package. Not available with (PDR) 2500HD SLT Gas Premium Plus Package, SEO options, (PDH) GMC Interior Protection Package, LPO, (VQT) hard tri-folding tonneau cover, LPO, (VPB) soft tonneau cover, LPO, (5JY) soft folding tonneau cover, LPO, (RVQ) 6" rectangular Black tubular assist steps, LPO, (RVS) 4" black round assist steps, LPO, (SCZ) chrome tailgate handle, LPO, (VAV) all-weather floor mats, LPO, (VQZ) polished exhaust tip, LPO, (VXH) 6" rectangular chrome tubular assist steps, LPO, (VXJ) 4" round chrome tubular assist steps, LPO, (S6L) Off-Road assist steps, LPO, (S6V) Cargo box retractable side assist step, LPO, (VZX) bed liner, LPO, (VUK) tailgate liner, LPO.) *GROSS* All Terrain X HD Package Includes: 18" Black painted aluminum wheels 275/65R18 Goodyear Wrangler DuraTrac tires with aggressive tread Black Sport side steps Black bed mounted Sport Bar Black uplevel power adjustable and folding trailering mirrors Black belt moldings Body color door handles Body color body side moldings Body color grille surround Black "B" pillar vinyl wrap Black front skid plate Requires SLT Crew Cab Standard Box 4x4 model with available All Terrain HD Package.